First it was a heart-wrenching tweet that he and his wife were getting a divorce after 25 years. Then a tabloid revealed that he'd been having an affair, releasing texts and photos of him and his mistress. 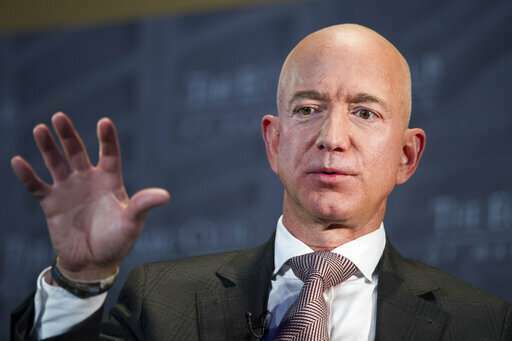 As if either of those weren't distracting enough, now Jeff Bezos—the world's richest man and CEO of Amazon—is accusing The National Enquirer in a blog post of trying to blackmail him by threatening to release more intimate photos of him unless he calls off an investigation into how that information was obtained in the first place.